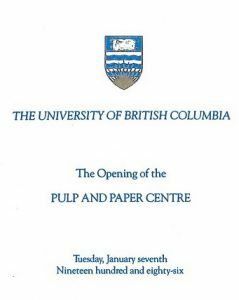 In 2016 the Pulp and Paper Centre (PPC) of the University of British Columbia celebrated its 30th anniversary. An event commemorating this milestone took place on 29 May 2016, at which I was asked to give a seminar on the early years of the Centre. As its founding director, the PPC was my major preoccupation for more than 20 years. Moreover, senior citizens love nothing more than to talk about the “good old days”. After the seminar I was asked to prepare a document on the PPC’s early years, an assignment I accepted with great delight. 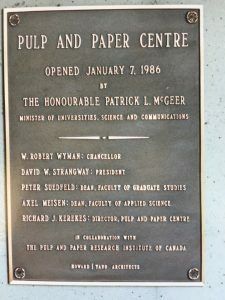 The PPC began as a collaboration between the Pulp and Paper Research Institute of Canada (Paprican) and the University of British Columbia (UBC). It is therefore useful to start by describing the education and research activities of each organization as things stood in the late 1970s. Befitting the importance of the forest industry in British Columbia, UBC was long active in academic activities for the industry. Most of these were centred in the Faculty of Forestry, specifically in topics related to forestry and wood science. Typical of most universities, education and research for the pulp and paper sector took place in engineering, in particular Chemical Engineering. 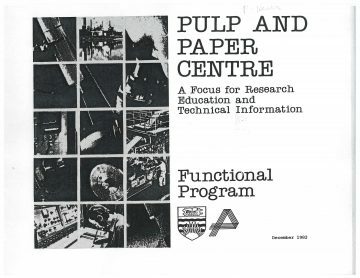 Realizing that the pulp and paper industry was BC’s major chemical process industry and the source of employment for some 20 per cent of its graduates, the Chemical Engineering Department hired Richard Branion in 1964 to strengthen education and research in pulp and paper technology. A year later, with the assistance of guest lecturers drawn from the pulp and paper industry, BC Research Council, and UBC Faculty of Forestry, Prof. Branion started a fourth-year elective course in pulp and paper technology. In addition, he and some professors in Chemical Engineering and several other departments conducted research in various topics in pulping and papermaking technology. However, there was no organized presence as such for this sector of the forest industry. Paprican was a non-profit institute supported by pulp and paper companies of Canada (contributing about 90 per cent of the Paprican budget). Its mission was to undertake activities in research and education of common interest to the industry. Although primarily a research laboratory located in Pointe Claire (a suburb of Montreal), Quebec, housing about 300 staff, Paprican originated on the campus of McGill University in 1925. In the late 1970s, it still retained about six faculty-level staff on campus holding honorary appointments and supervising graduate student research. At that time Paprican had no permanent presence in western Canada despite the fact that a sizeable fraction of its funding came from western members. Paprican had grown to a level that justified a separate presence in the West. In 1977, a small committee examined various options on how this might be established. It concluded that the presence should begin, as in 1925, at a university, in this case at the University of British Columbia. 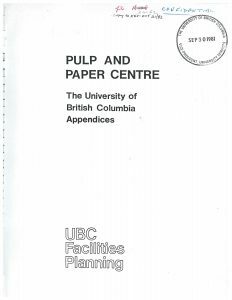 Paprican and UBC reached an agreement early 1978 to initiate a small presence in the Chemical Engineering Department. Paprican announced an opening for a person to relocate to Vancouver to start this enterprise. I applied and was delighted to be appointed to undertake this task. I arrived at the UBC in November 1978 and was cordially accepted into the Department of Chemical Engineering. The Head, Prof.Frank Murray, was a graduate of the Paprican McGill Program under Dr.S.G. Mason. Dr. Axen Meisen, Associate Dean of the Faculty of Applied Science, had been a fellow PhD student with me at McGill University. 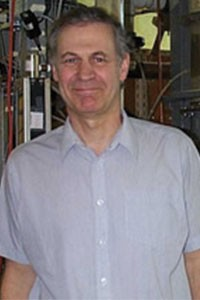 Prof. Richard Branion was known to me for his activities in teaching and research in papermaking. I was duly appointed an Honorary Professor and assigned an office and laboratory in the basement of the Chemical Engineering building. In June 1979, Dr. Murray retired and was succeeded by Dr.John Grace who also came from McGill University. I knew him well and he was very familiar with the Paprican presence at McGill. In summary, there came into being a McGill cohort which turned out to be important in the events to follow. Figure 1: Entrance to Old Chemical Engineering building. The sign on the left of the door signified Paprican’s presence in the basement office just to the bottom right in the photo. The beginning of the PPC occurred in January 1980. John Grace called me to his office to tell me that the provincial government had just announced funding for new initiatives in engineering. He suggested that we consider the possibility of a pulp and paper centre similar to the one at McGill. In truth, at first I demurred because I was still very much finding my way in academic life. However, after further discussion it became clear that this was a unique opportunity, so we agreed to give it a try. I took this matter up with Paprican management. They were very receptive. I was given the green light to prepare a proposal with my university colleagues. The outcome of our effort was a proposal for a centre similar to that at McGill, but with a large contingent of regular UBC faculty. In contrast, the McGill Centre was staffed almost entirely by Paprican employees. The principle of operation at UBC would be honorary cross-appointments. Paprican faculty-level staff would hold honorary or adjunct UBC appointments. UBC faculty would have appointments as Faculty Associates of Paprican. Paprican employees would be located full time in the Centre to manage it and provide research services such as library and machine shop. Students and researchers would have office and laboratory space in the building, as well as access on a competitive basis to Paprican’s pool of scholarships and post-doctoral fellowships shared with McGill. The total commitment, most of it in-kind in the form of Paprican personnel, was estimated to be about one million dollars per year when fully operational. Even at that time, this was a considerable sum. Particularly noteworthy, it would support infrastructure—rarely done by the private sector—and was to be on a continuing basis with no stated term limit. In spring 1980, I brought the proposal to senior Paprican management where it was favourably received. Before taking it to the Paprican Board of Directors, Mr. Ian Barclay, chairman of the Board and President of British Columbia Forest Products (BCFP), recommended that we obtain buy-in from western companies, not all of whom were represented on Paprican’s Board. To accomplish this, he arranged a high-level meeting of top executives at the offices of BCFP at which I made the “pitch”. It was an extremely hot day in July, but I sweated for more reasons than the weather. Nevertheless, the meeting went well. The next step, approval by the Paprican Board, duly took place in September 1980. Following this, I proudly delivered the proposal to the office of UBC President Douglas Kenny. Given its attractiveness, we all thought the proposal would be speedily acted upon. We were wrong. UBC responded very favourably. However, its request to the B.C. government to fund a new building raised the question of priority over UBC’s other capital project requests already in the queue. The attractive nature of the PPC proposal notwithstanding, the priority issue was a very thorny one. Nevertheless, our planning proceeded with the support of Prof. Axel Meisen and the Faculty of Applied Science. In 1981 we produced a Facilities Planning Report, and then in 1982, a Functional Program Report. Figure 2a. The Facilities Planning Report from 1981. Figure 2b. Functional Program Report from 1982. In 1981, Paprican’s Research Program Committee concluded that the industry’s technical workforce needed increased education, and that Paprican should play a leading role in bringing this about. University education was one of the initiatives in the package. Various options were considered, but clearly the best one was to have a solid education in an existing science or engineering discipline, topped off by a master’s degree specializing in the industry’s technology. Among other benefits, this would bring the education of our engineering students up to the level, or higher, than that of their counterparts elsewhere, for example the Dipl.-Ing degree in northern Europe. Paprican approved support of a non-thesis master’s program at both McGill and the UBC. The funding included five $20,000 per year scholarships at each university as well as substantial staff time to teach in the courses. I led the initiative at UBC with Prof. Ken Pinder. We prepared a course curriculum consisting of about 180 hours of teaching and laboratory time. The host department, Chemical Engineering, strongly supported the program with the proviso of a new faculty member to cover their extra load, mainly as coordinator of the program (Paprican faculty were not eligible). Teachers for the courses were drawn from UBC, Paprican East, and locally from the pulp and paper community hired as Teaching Consultants by Paprican. 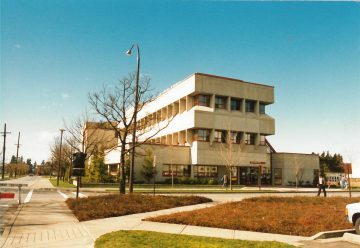 The program was scheduled to start in the fall of 1983, but to fine-tune the new courses, we made 1983–1984 a trial year by giving the courses to existing students at UBC. The official program started in the fall of 1984. 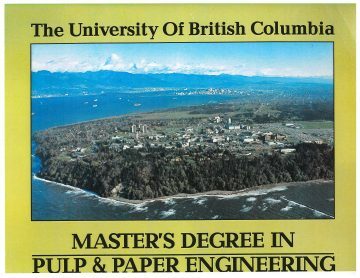 Figure 3: The poster advertising UBC’s new Pulp and Paper Master of Engineering program. Other events of importance to the PPC took place concurrently with the above at about the time of my arrival at UBC. 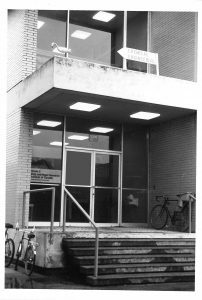 In August 1978, the Canadian Government unexpectedly privatized the Western Forest Products Laboratory, a federal government lab located adjacent to UBC. This lab was devoted to research on wood products, but had a small group under Dr. John Hatton carrying out pulping studies. During 1979, intensive discussions took place on transferring this group to Paprican, leaving the newly privatized lab, named FORINTEK, to focus on the wood sector while Paprican focused on the pulp and paper sector. As the Paprican contact in Vancouver, I provided local assistance for this initiative, which successfully came into effect in January 1980. A second major initiative by Paprican began shortly after submission of the PPC proposal to UBC. It was to establish a “staff research facility” in Vancouver. In Paprican, “staff research” was confidential research to member companies with no direct academic involvement. The research was guided by a Research Program Committee. 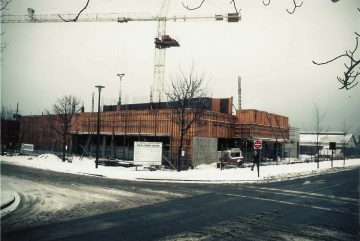 The new facility would house the Hatton group and become the counterpart to the Paprican lab in Pointe Claire, Quebec. Funding would be sought from the federal government whose financial support of Paprican at the time was periodic provision of building space (1958, 1965 and 1972). Based on past experience, securing a new building would take a minimum of five years. Paprican duly submitted a proposal for a new building to the federal government. Surprisingly, unlike the delay in the case of the PPC, this proposal moved very quickly. The federal government had just enacted a recovery budget to counter a serious economic recession at the time. It was seeking suitable projects. The Paprican proposal was “Johnny on the spot”. The federal government approved 15 million dollars for the new facility. Its location was not specified, but UBC Discovery Park, adjacent to the UBC campus, was one of three possible sites on the short list. In summary, in early 1983 a new non-thesis Pulp and Paper Master of Engineering program was in place, the federal government had approved funding a building for Paprican staff research, and Guy Dumont transferred from Paprican to join me as the second Paprican faculty member at UBC, in the Department of Electrical Engineering. But as yet no Pulp and Paper Centre was in sight. Understandably, the long delay over the PPC caused concern in Paprican. To move things along, Mr. Ian Barclay, former chair of the Paprican Board and still very active, suggested that we seek the advice of Mr. J.V. Clyne , a retired titan in the BC Forest Industry and then chancellor of UBC. When we three met, I described the proposed Centre, the M.Eng program, and the Paprican Lab. Mr. Clyne offered to speak to the appropriate people in Government. This and other factors in play at the time, namely choice of the site of the Paprican Vancouver laboratory and an imminent provincial election, moved things forward. We soon received word from Victoria that the Centre would be approved. 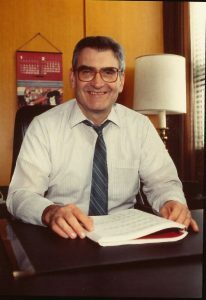 Dr. Pat McGeer, BC’s Minister of Universities, Science, and Communications made the public announcement on 7 April 1983. We were all delighted that the UBC Centre was finally approved and that Paprican’s Vancouver Laboratory would be located nearby in UBC Discovery Park. The proximity of the Vancouver Laboratory to UBC was particularly important. It enabled synergies not possible in Montreal where the two labs were almost 30 kilometres apart. Indeed, the Vancouver laboratory’s research program built upon key UBC strengths. 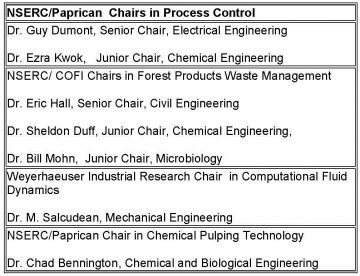 For example, in addition to our academic duties, I served as leader of the Pulp Processing Group, and Guy Dumont served as leader of the Process Control Group. Several of our students later became key researchers in the lab. We built close collaborations in many projects as the Laboratory grew to a size of about 60 staff. 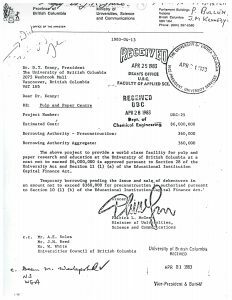 Figure 4: Letter from Minister McGeer to Prof. Kenny, President of UBC, approving funding for UBC Pulp and Paper Centre. Shortly after this approval, I was formally appointed Director of the Centre in November 1983. Figure 5: Richard Kerekes was appointed Director of the PPC in November 1983. 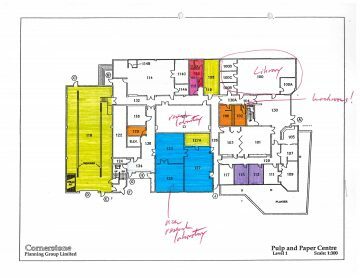 Dr. McGeer’s letter actually only released $360,000 for detailed planning of the building. The remainder of the 6 million dollars would be available on successful completion of this stage. The design of the building proceeded with the hiring of the architectural firm Howard/Yano. Dr. John Grace and I shared the task of representing the users in the countless meetings to decide the countless details that required user input and approval. Figure 6: An early concept of the building structure. Figure 7: The layout of the ground floor of the PPC. Figure 8: Publicity picture of the Centre at completion of planning (car not included!). Several hiccups arose during the design process. One took the form of a quail shed. The lot allocated to us was on a vacant field at the corner of Agronomy Road and East Mall. It was vacant except for a nearby wooden shed housing quails for research in the Faculty of Agriculture. One day we were informed of great concern that noise from construction would aggravate the quails, causing them to injure themselves. Worse yet, this anxiety would occur during mating season, upsetting their reproductive capacity. A somewhat insensitive suggestion on my part concerning the quails was not well received As a consequence, or perhaps in any case, we were required to fund a new quail shed from the PPC building budget. This new structure, south of 16th Street, cost well over $100,000.It is noteworthy that the new shed was not completed until well after construction of the PPC. The quails suffered no adverse effects to my knowledge. A second concern was raised by the nearby hospital. Having heard that the building was to be a pulp centre with a pilot plant, concerns were expressed that fumes emanating from the building would affect the health and comfort of patients. All our estimates indicated this to be unlikely in the extreme. Nevertheless, having just had an expensive lesson in discretion, we approached this issue carefully. In communication with the hospital, we realized that the word “pilot plant” was a trigger. To researchers, this wording is simply a high headroom laboratory, but to the public, “plant” means “factory”. As part of the solution, we changed the name to “High Headroom Lab”. In addition, we made a contingency plan to install an expensive scrubber to remove gaseous odours should a problem ever arise. We set aside a small room called a “Scrubber Room” for this purpose. As expected, no problem ever arose. The room has remained unused for this purpose to this day. 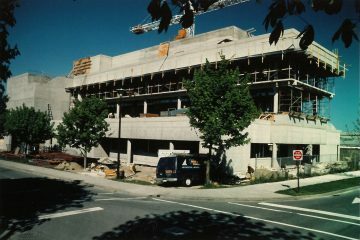 On June 29, 1984 the provincial government authorized spending for the construction of the building. Construction began and proceeded through to completion at the end of 1985. Photos of various stages of construction are shown in Figures 9 and 10. Figure 9a: Construction of the PPC. Construction started winter of 1984–85. Figure 9b: View from south side, then a parking lot, now the Advanced Wood Processing Centre. Figure 9c: Kitty-corner view from a parking lot, now Starbucks. Figure 9d: Frontal view from across East Mall, then a parking lot, now the McGavin building. 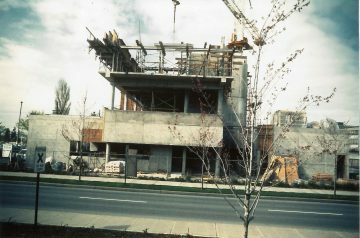 Figure 10: View of completed Centre from across East Mall. Note the parking lot and empty spaces in foreground. 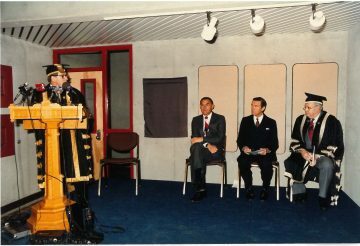 The Centre was officially opened on January 7, 1986 in a ceremony in the front lobby. Mr R. Wyman, Chancellor of UBC officiated. 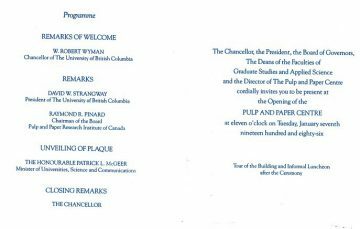 UBC president Dr D. Strangway spoke for the university and Mr. B. W. Burgess spoke for Paprican. Minister McGeer spoke for the provincial government and unveiled the plaque in the lobby. A tour of the building followed. There was not much to see in terms of equipment, but the building was impressive. 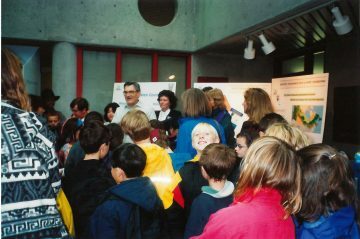 Shortly afterwards, the Vancouver Laboratory of Paprican in UBC Discovery Park opened on April 5, 1986. The near simultaneous opening of these two new facilities was remarkable at the time. 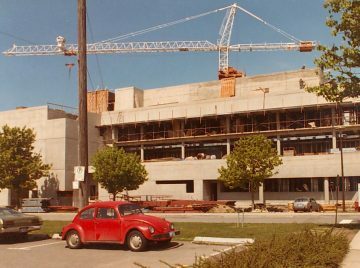 A severe economic recession gripped the province, to the extent that in the early 1980s—with the exception of the PPC—building projects at UBC then in planning stages were put on hold, although some new buildings were approved later in the decade. 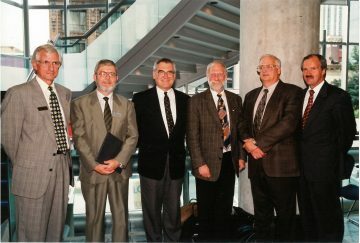 Figure 12: Speakers, left to right, at the Opening Ceremony: Chancellor of UBC, Mr. R. Wyman, Chancellor of UBC, Dr. P. McGeer, BC Minister of Universities, Science, and Communications, Mr. B. W. Burgess, President of Paprican and President of UBC Dr. D. Strangway. 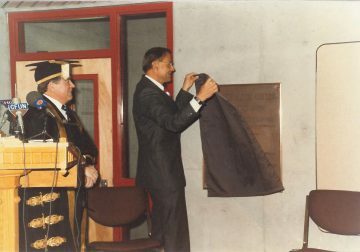 Figure 13a: (Left) Dr. McGeer unveiled the plaque in the lobby. Figure 13b: Close-up of the inaugural plaque. 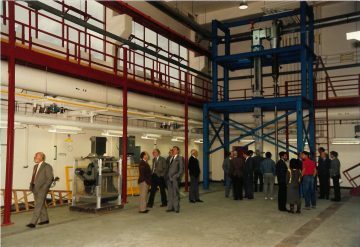 Figure 14a: (Right) The high headroom lab at the opening of the PPC. 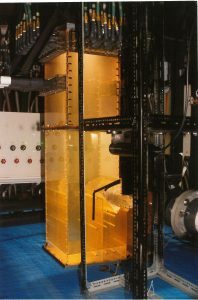 Figure 14b (Far right): Model digester donated by H.A Simons Engineering located in the high headroom lab for demonstration purposes. At the time of the PPC opening, Paprican staff located in the Centre were myself as Director and Honorary Professor in Chemical Engineering, Guy Dumont, Adjunct Professor in Electrical Engineering, Ken Wong, and Chad Bennington (Teaching Consultant). Support staff joining later were Lisa Hudson (née Brandly), Brenda Dutka, Kurt Bose, Tim Paterson, and Peter Taylor. Special mention must be made here of Georgina White who served as administrative assistant from 1982, first in the Chemical Engineering building, then later in the PPC, up to the time of her untimely passing in 2002. 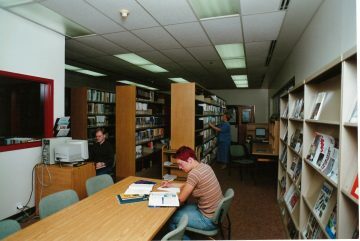 An important role of the Centre was to act as an information resource about the industry for the university and the public. This was accomplished in good part by a library near the building entrance (shown in Figure 15). Books and periodicals were assembled from the UBC collection in the central library stacks as well as from other sources. The library collection was maintained and staffed by a full-time Paprican librarian, commencing with Linda Everett and ending with Rita Penco as the last full-time librarian, followed by Judy McKenzie as library technician. . Figure 15: The PPC library housed the university’s pulp and paper collection. Other community outreach activities are illustrated in Figures 16 and 17. 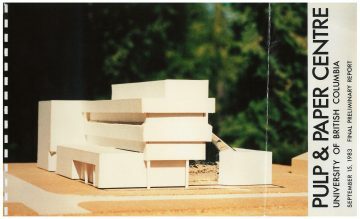 Figure 16: A model of a pulp mill bleach plant, used by Simons Engineering during the design of the mill, was located in the lobby of the PPC. 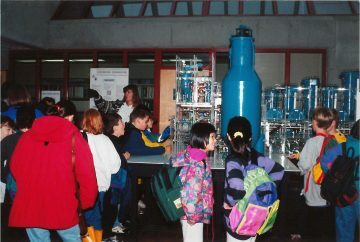 Figure 17: School children visiting the PPC during one of UBC’s Open House Days. In the ensuing years, research activities led by key faculty grew quickly. Several key faculty were Paprican employees. 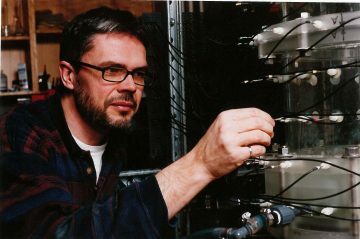 Chad Bennington was appointed an Adjunct Professor in the Chemical Engineering Department in 1988, and later in 1995, Daniel Ouellet was appointed Adjunct Professor in Mechanical Engineering. 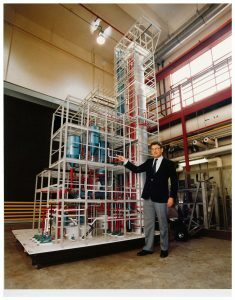 Figure 18: Chad Bennington established a strong research program in chemical pulping technology. Table 1: Research chairs at the Pulp and Paper Centre in the 1990s. Table 2: (Right) Snapshot of research activities at the Pulp and Paper Centre early 2000. In addition, Paprican supported several NSERC chairs. These are listed in Table I along with other chairs supported by the BC Council of Forest Industries and Weyerhaeuser Ltd. In addition to these faculty, Les Galloway and Patrick Tessier, hired by Chemical Engineering to co-ordinate the Pulp and Paper Master Degree program, also had active research projects in the Centre. Over the years, the number of research personnel and level of activity fluctuated, but typically about 20 Faculty Associates supervised research within or linked to the Centre. Figures 18c (Left) Profs. John R. Grace, Richard M. Branion guiding a researcher (centre) and Guy Dumont (right). 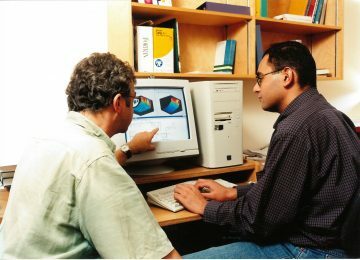 In 1990, a major boost to research in the PPC came from a new federal government funding program called Networks of Centres of Excellence (NCE). This program, announced in 1988, created a number of research networks of universities across Canada to focus on specific topics. With Paprican as the lead organization, we submitted a comprehensive proposal aimed at enhancing mechanical pulp, a major product of the Canadian industry. This network was led primarily by the university group of Paprican with Dr. Henry Bolker as head. It was one of the 12 successful networks in the first round of competition, and one of the largest. Guy Dumont and I played key roles in its leadership, he as leader of the Process Control Theme and I as leader of the Pulp Processing Theme. The network started in 1990 and was renewed twice, ending in 2002. Funding to researchers in the PPC in the first year alone was 1.5 million dollars, diminishing progressively over its 12-year existence. Faculty were also major participants in another forest industry NCE, the “Sustainable Forest Management Network, started in 1995 with Eric Hall as a theme leader. Both of these Networks greatly boosted research in the Centre. In 1994, the BC government created a Crown Corporation called Forest Renewal BC (FRBC) to enhance value-added manufacture in the forest Industry. Funded by a surtax on the industry, new educational activities were among its activities, including endowed university faculty positions. In 1995, we submitted a proposal for an endowment of 8.5 million dollars to support two new faculty positions at UBC and one at BCIT. The aim was to strengthen the two existing pulp and paper programs in the province. Paprican provided strong support and served as the industry partner. The need was dire. Although the pulp and paper sector constituted a huge part of the forest industry in British Columbia, almost equal in size to the wood sector, and upon which the wood sector depended for its viability, post-secondary education for the pulp sector was meagre. Moreover, what existed was largely dependent on Paprican. In addition, retirements of key UBC faculty were on the horizon. The case was strong. But here too things did not go smoothly. Just as we submitted our proposal, FRBC suspended the endowment program in order to revisit its criteria. Nevertheless, we continued intense lobbying to educate members of the FRBC Board and members of the BC Legislature, both in government and in opposition, about the size and importance of the pulp and paper sector. I vividly recall showing my map of British Columbia displaying the locations of the 26 mill sites scattered over all regions of the province, emphasizing the products and employment of interest to the particular audience. Lobbying extended to trade unions and meeting with individual members of the FRBC Board, for example visiting the lovely Mayor of Lumby, BC in her quaint office. It worked. When the endowment program was restored, our efforts were rewarded. In the waning minutes before midnight 31 March 1998, UBC and FRBC signed the agreement for the 8.5 millon-dollar endowment. 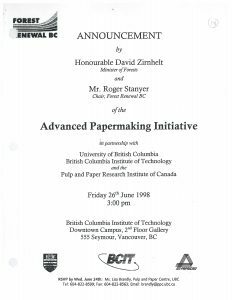 The Minister of Forests, David Zirnhelt, formally announced the Advanced Papermaking Initiative (API) at a press conference on June 26, 1998. Further public recognition took place in the BC legislature a short time later. At the beginning of each session, it is customary to recognize distinguished visitors in the public gallery along with their accomplishments. I was so honoured along with my 11 year-old son. There was, however, a hitch. Minister Zirnhelt was to make the introduction, but a member of the opposition (name forgotten) did so first, somewhat upstaging the Minister, who nevertheless graciously concurred and noted the importance of the API, as well as the pulp and paper sector in the province. A thundering round of desk-thumping applause ensued. In that testy political atmosphere, the API seemed to be one of the few things government and opposition agreed upon. The new faculty hired through the API at UBC were James Olson in Mechanical Engineering (1999) and Mark Martinez in Chemical Engineering (1999) and at BCIT, Rodger Beatson (1999). 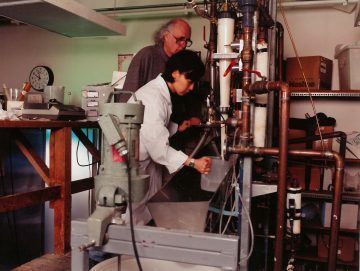 Additional funds were provided to strengthen the papermaking chemistry lab at UBC under Peter Englezos. Further initiatives were undertaken such as short courses, a tele-video undergraduate course in pulp and paper technology for students at UVic, student scholarships, public education, and a technology network. Figure 19a: Announcement of the Advanced Papermaking Initiative by BC Minister of Forests on June 26, 1998. Figure 19b: Mr. David Zirnhelt, BC Minister of Forests (3rd from right). A provincial election took place in 2001 in which unfortunately, FRBC became a contentious issue. The governing party lost the election. Virtually the first act of the new government in 2002 was to disband FRBC, cancelling most of its programs. The API endowment fell into somewhat of a limbo because it had a “rescindable clause” whereby the government could, in principle, rescind the endowment. Once again we undertook intensive lobbying. When Dean Michael Isaacson and I met with the government legal representative, we were pleased to learn that the endowment was safe, but were somewhat dismayed that the “rescindable clause” remained, moreover on very vague terms. Despite our efforts, we could not get the clause removed. As the next best thing, we argued for clear criteria and due process, offering to rewrite the terms in a form suitable for a university procedure. Our offer was accepted. The API continued and has remained a key element of support for the PPC to this day. A large number of excellent research projects took place in the early years, just as there are today. I select here a few for illustration. 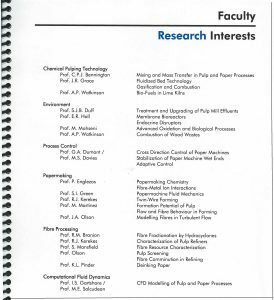 I started research on pulp refining in a small way in 1990 with my doctoral student Mark Martinez. 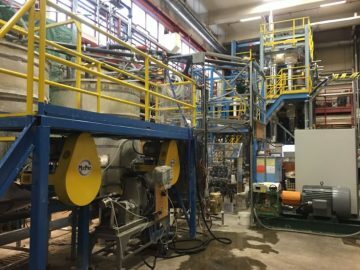 It has been a continuous activity ever since, growing in size of equipment from a small “single-bar refiner” to a full-scale commercial AIKAWA refiner now located in the high headroom laboratory. Indeed, low consistency refining is a major component of an industry consortium of 16 companies led by James Olson to carry out research focused on reducing energy consumption in mechanical pulping. 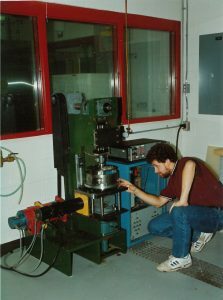 Figure 20: (Right) The single-bar refiner being operated by Mark Martinez. 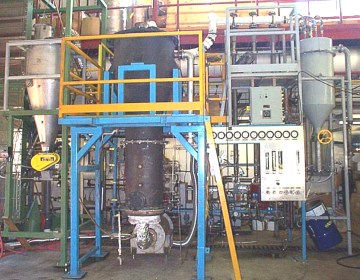 Figure 21: (Left) AIKAWA low consistency refiner and related equipment. This project — led by Profs. Martha Salcudean and Ian Gartshore — was generously supported by Weyerhaeuser, including a Chair for Prof. Salcudean. The research aimed at optimizing flows in recovery furnaces using computation fluid dynamics and physical modelling in a large water model located in the high headroom lab. The group successfully modelled 23 furnaces in 13 countries. The results enabled large savings in energy. 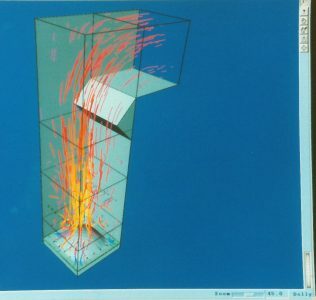 Figure 22: Water model and computational simulation of flow in a recovery furnace. This project, led by James Olson, was a collaboration between UBC and Paprican. The key invention was a flow cell that aligned and positioned fibres in a wide channel. 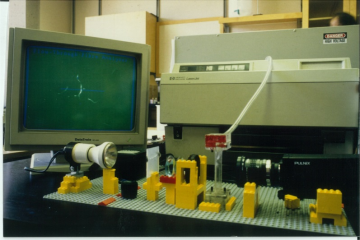 To overcome long delays in machine ship fabrication, James carried out the early work in the PPC on a stand constructed from LEGO blocks shown in Figure 23a. Subsequent work was carried out at Paprican, and then by OPTEST Inc. who manufactured the commercial model. About 190 of these instruments have been sold in 19 countries around the world. Figure 23: Early work on the FQA by James Olson (left and centre). 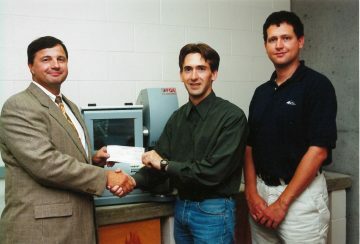 Figure 24: Mr Roland Trepanier, president of OPTEST, the manufacturer of the FQA, presented a royalty cheque to UBC. Guy Dumont and student Christos Zervos developed a new approach to using data for process control by means of orthonormal functions, specifically Laguerre functions. The approach was called the “The Laguerre Unstructured Self-Tuner”. It proved to be very successful in a trial in the Howe Sound Pulp Mill and was subsequently developed into a commercial product by a small high-tech company in Richmond, BC called Universal Dynamics. After several iterations, the product was rechristened “BrainWave”. It is currently used in many different process industries around the world. BrainWave won the BC Technology Industries Association Award for Excellence in Product Innovation in 1996, as well as several other awards later on. I must confess to a modest contribution to this success story. After the Howe Sound trial, I wrote an article for the trade press entitled “LUST in Pulp Mill” to publicize the PPC. For obvious reasons this attracted enormous attention, including from Universal Dynamics. We were told later that, were it not for the title, they might easily have overlooked this exciting prospect as they scanned trade magazines looking for new ideas. A lesson here? Figure 25: Prof. Guy Dumont (left) with researcher Christos Zervos. One of the roles of the PPC was, and remains, exploration of technologies of potential interest to the industry. The first such technology in the PPC — and to this day one of the largest pieces of experimental equipment in the building — was the fluidized bed combustor shown in Figure 26. Research on it, led by Profs. Paul Watkinson and John Grace, tackled a number of issues, including energy generation by combustion of wet wood waste. In addition to challenges such as material handling and combustion efficiency, the research addressed health issues such as possible dioxin generation from the burning of salt-laden wood transported by floatation down the BC coast. Direct assistance was provided to coastal mills on these and related issues. The success of the PPC in industry-oriented research is evident in the many awards won by faculty. Too numerous to list here, I cite one example, Synergy Awards from the Natural Science and Engineering Research Council of Canada (NSERC). These awards are chosen in national competition from all universities and all industries. 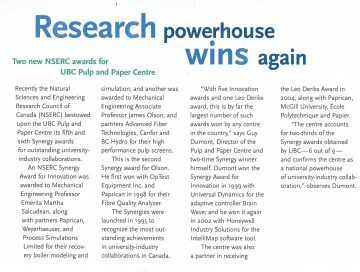 As of 2007, researchers in the PPC had won 6 Synergy awards out of 9 in total awarded to the UBC up to that time. The Centre was quite rightly called a “Research Powerhouse”. Figure 27: PPC recognized as a research powerhouse in “”INGENUITY, Faculty of Applied Science Engineering News”, Fall/Winter 2007. The program, whose origins are described earlier, flourished well into the late 1990s. At that time, however, a severe downturn in the industry created a surplus of experienced engineers seeking employment. This made it difficult for students to get jobs and consequently difficult to attract students into the program. In addition, the downturn further decreased industry funding to Paprican. Given these regrettable circumstances, we decided to discontinue the program in 2002. During its existence, the program was capably led by a succession of co-ordinators: Drs. Ken Pinder, Les Galloway, Patrick Tessier, Peter Englezos, and Colin Oloman. Dr. Chad Bennington and I served as Associate co-ordinators throughout this period. The program was a great success in training 110 engineers, many of whom now occupy senior positions in the industry. 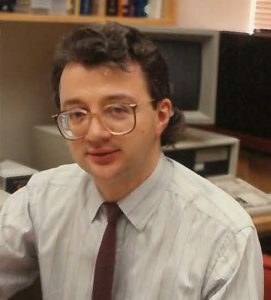 Figure 28: Prof. Peter Englezos, co-ordinator of the Pulp and Paper Master of Engineering Program 1992–99. By the late 1990s, financial circumstances in the industry had deteriorated considerably. Increased competition from low-cost fibre sources and a decline in demand for some products, namely printing and writing papers, eroded the profits of the industry. This situation obviously affected industry support of Paprican. Another factor also came into play. 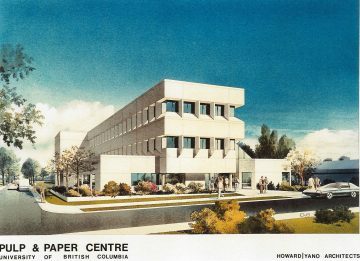 Whereas before 1978 the only formal pulp and paper centres in Canada were at McGill University and Université du Quebec at Trois Rivieres, by the late 1990s, four additional centres were operational at the University of New Brunswick, Ecole Polytechnique, University of Toronto, and McMaster University. There was also a small presence at Lakehead University. Consequently, the need for direct involvement of Paprican in university activities had diminished. This factor and reduced industry support called for changes in Paprican’s involvement at McGill and UBC. At the time, Dr. Theo van de Ven, Director of the McGill Pulp and Paper Centre, and I were co-directors of Paprican’s education program. 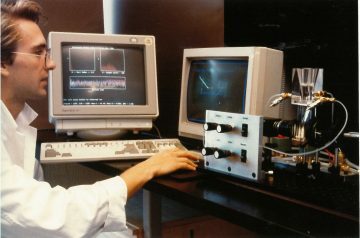 This program comprised the activities at our two universities as well as Ecole Polytechnique in Montreal, which had developed a formal link with Paprican in 1984. There were also short courses and links with other universities. As members of Paprican’s senior Operations Management Group, we were asked to review and restructure the university program. I was appointed to lead this task. Although all appreciated that a world-renowned university-industry program built up over 75 years should be preserved to the degree possible, changes were clearly necessary. research funding was granted on a project-by-project basis, available to all universities. This new format came into force at UBC in July 2001. As part of the transition under the leadership of Dean Isaacson, Chad Bennington was appointed to the NSERC/Paprican Chair in Chemical Pulping Technology. In addition, Paprican and UBC created a one million dollar endowed professorship called the Paprican Professor of Pulp and Paper Engineering. 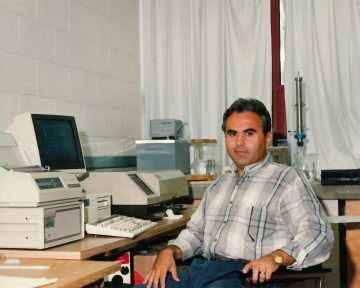 In June 2001, I retired from Paprican and was delighted to be the first appointee to this position in the Department of Chemical and Biological Engineering. .
After four and a half years as Paprican Professor, I retired from UBC in December 2005, having served 22 years as director of the PPC. Guy Dumont succeeded me as director (2006–2010), followed by James Olson (2011–2013), and then Mark Martinez from 2013. In 2007, Paprican merged with two other related forest industry research institutes — FORINTEK and FERIC — to form a new forest products research institute called FPInnovations . This new institute discontinued support of staff in the PPC in 2009, but maintained funding for selected research projects through grants. In 2010, UBC implemented major changes in the PPC. The library, which had become a reading room of the Faculty of Applied Science, was disbanded and the collection dispersed. The library space along with the ground floor office area was temporarily converted into offices for the staff of the Faculty of Applied Science Co-Op Program, who now occupy the entire entrance area. Renovations on the second floor created a lunch room and seminar room for PPC users. Regrettably, during this same year the PPC lost one of its most enthusiastic and prolific faculty members, Chad Bennington. His untimely passing left a large gap in both the teaching and research activities of the PPC. Nevertheless, despite all these changes, at the time of writing (fall 2016) the Centre is flourishing. It has strong industry support and excellent research on a mix of topics in current and new technologies. The Vancouver Laboratory of Paprican in UBC Discovery Park fared less well. In 2014, staff in the building were relocated to the former FORINTEK building on the south campus of UBC, which thereby became the sole presence of FPinnovations presence in Vancouver. The Paprican Vancouver Laboratory building was emptied and sold to a private sector company.